This summer has been absolutely crazy-busy with nonstop rock! I've hardly had a moment to catch my breath, let alone post to the blog. Julia and I celebrating the new studio! Matt Krefting, after being bullied by Rory. Trevor Healy, getting warm on the 12 string. Ted Lee's 40" and 28" bass drums. My 26" Leedy bass drum. I love this drum! Carr amps and great mics! It's been way too long since my last update, especially because so much has happened since.. Since my last update, I've worked on about 30 different projects and opened my new recording studio: Sonelab. It's been 2 years since discussion started and almost a year since pen went to paper. We're finally open, up and running, and I feel like I'm doing some of the best work I could possibly be doing. I spent the second half of April moving equipment with Mark and gathering cabling for my control room. Once the cabling was in my hands, I began the epic task of wiring my console, outboard gear, and lines to the live room. For about 2 weeks, I worked at Bisquiteen for 10-12 hours per day and spent 6-7 hours at Sonelab soldering cables, running lines under the floor, and conducting a series of tests. Everything seemed to check out in the end so I was ready for my first session! Fancy Trash came in for three days of tracking. They helped me break in the studio in the best way possible! We had Jason Smith set up in the drum room, Paul Kochanski with his upright bass in the small iso, and Dave Houghton in the big room, playing acoustic guitar and singing. On the second day of tracking, Katy Schneider arrived with her pedal steel and sat in the live room. We ran lines to her amp in the large iso. It was amazing to listen to them track all live, using every room in our studio. I can't tell you how proud I was to have pulled it all off and for things to sound simply AMAZING! The next session I did at Sonelab was with Chelsea Light Moving. This band is made up of Thurston Moore, Keith Wood, Samara Lubelski, and John Moloney. We spent three barn-burning days tracking live, adding vocals, then mixing. It was a wirlwind of rock and noise and was SO much fun, albiet a lot of work. We set up John (drums) in the big room with 10 close mics, plus a series of four room mics, including one ambient mic, which was placed on the opposite end of the live room, providing me with 33 ms. of delay to play with! Samara's bass amp was placed in the drum room, surrounded by large gobos, and Keith and Thurston's guitar amps were placed in the remaining two iso rooms. We were able to achieve perfect isolation yet maintain a very live and raw sound on playback. After Chelsea Light Moving left, The Peachy's came in to bash out 7 rockin acoustic tunes. This setup was quite different from the other two! I put Keith (drums) in the widest part of our live room and Kevin (acoustic guitar and vocals - LIVE!) directly across from him in the large room with no baffles. Peter, bass, had a wireless device so he was able to walk about while his bass remained in the small iso. There was definitely some bleed but all of it was quite nice! David "Goody" Goodrich sat in as producer and added some of his fine guitar, slide, and piano to the project. After a MUCH needed week off, I walked back into Sonelab with the Happy Valley Showdown winners of 2012: Home Body. I think this project almost killed me! Electronic sequencing that go from stabbing to BLISTERING and soft to ambient. Add Haley's amazing vocals rising high above that and you have Home Body. Add Noam Schatz's pulsing beats and Justin Fallon's heavy fuzz-echo guitar as a bed and you have an idea of what their forthcoming full length has in store for you. The low end rattled my speakers and my brain, and the melodies have been pleasantly embedded in my head. I can't wait to mix this one! One day I'll add the pictures I have of all of these events. The feeling I get when I walk out of the studio and hear our practice spaces roaring and see the parking lot full of familiar vehicles is like no other. This is everything I hoped for an more. The summer is getting close to fully-booked and the next batch of projects is no less exciting than the past. If you're interested in studio time, please reach out soon. It's going quickly. Thought I'd give ya'll a little springtime update. The end of February I was able to spend a nice, snowy evening with Speedy Ortiz. This newish band was started by Sadie Dupuis, who's previous band, Quilty, recently split up. Speedy Ortiz plays some really fun, catchy rock music that definitely makes a nod to bands like Pavement, the Amps, Polvo, etc., while maintaining their autonomy.. The guitars go from clean and fiddly to HEAVY. They boast great dynamic shifts, fantastic lyrics, and O so catchy guitar riffs. I highly, highly recommend checking out their stuff. The project we worked on was start by Paul Q. Kolderie at Mad Oak in Boston. We comped vocals, added Matt Robidoux's (Graph) guitars, and mixed it together. Dig the tracks on their bandcamp page. They got more on the way 2! Western Mass's very own Psychic Blood and I have just put the bow on top of their forthcoming 9 song, 33 minute noise/punk LP. I'm not sure when it's coming out but get psyched! Hush Arbors and I mixed their upcoming side of a split LP with Arboretum coming out on record store 2012! The record is being released by Thrill Jockey Records! I began the epic task of mixing Rusty Belle's forthcoming live record. We're just about finished with it so we're hoping it'll see release in the very-near future! Dinosaur Jr. released a live DVD this past February. The show was recorded at the 9:30 Club in Washington DC this past summer. Tim Herzog (who does FOH for Dinosaur, among many other things) and I were responsible for making sure the set was recorded properly on the night of the show. His microphone placement, my Pro Tools prowess. 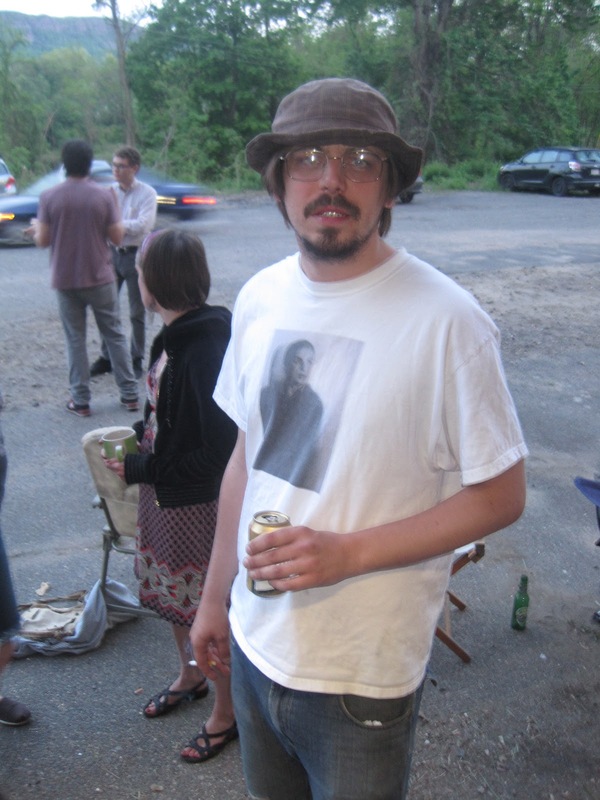 During the autumn of 2011, J and I mixed the tracks at his studio, Bisquiteen, in Amherst, MA. It's called Dinosaur Jr. Bug: In the Hands of the Fans. 1. An amazing combination of musicians playing together to record one amazing song: J Mascis and Lou Barlow meets The Melvins in the studio! 2. J Mascis and Lee Ranaldo recently teamed up for a fun ditty, written by someone else. It's an amazing song that you've probably heard before. It was a hit, yet it was instrumental, and remains that way on this version. 3. 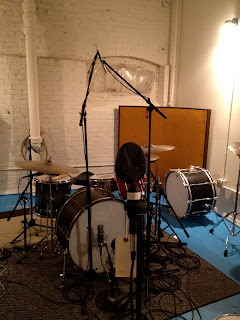 A certain three-piece from western Massachusetts has been in the studio since February 1st, 2012 working hard on their third record since their reunion. This band features ex-members of Deep Wound. I would also like to officially congratulate David Sweetapple and Outer Battery Records. They are new to this world and it's looking like they're gonna make people happy! Lastly, but certainly not leastly: my new recording studio and practice space complex is VERY close to being open. We're awaiting some official documents and once we get those, we'll start wheeling in tape machines, consoles, amps, drums, pianos, etc. and start wiring this place up! Mark Miller of Slaughterhouse, as you know, is my partner in this venture. We're very close on this and are starting to book sessions from May 2012 on! In preparation, I've started to build myself some mic preamps. I'm very excited about these. So far I've got 4 OPAMPs built (2 based on the original API 2520 'Huntington' and 2 based on the beautiful-sounding Melcor 1731). I tested out both and honestly could not believe the different between the stock API pre amps and these kits. Once my actual microphone preamp kits arrive, I'll start tearing through those. I've had the pleasure of using these preamps in other recording studios, and I was very impressed! I have my second API Lunchbox ready for these bad boys! Thank you for entertaining another scattered rambling of my goings on! It's been a long time since I've updated this blog, therefor I have a ton to report! Let's dig in, chronological-like..
First, I'd like to update everyone on the goings on within my new studio space. I'm proud to say that we're in the home stretch! There's paint on the walls, floor, electricity pumpin, and we're beginning the finishing touches: doors, floors, etc! I can't even describe how excited I am to start recording in this space. As doors and such have gone up, Mark and I have been able to witness not only the rooms taking shape, but the SOUND of the rooms evolve. I think they're sounding better and better with every door that goes in. The first sliding door on the right is what I refer to as the '70s drum room.' It's large enough to record a drum set. There's carpet on the floor and a drop ceiling. This makes for a very nice, thuddy sound. There are no right angles or parallel walls so It's very clean-sounding, too! The second sliding door down is our small dead room. Perfect for a bass rig or guitar amps.. Or if you're looking for a very quiet room to record your most intimate vocal take in. Also carpeted and with a drop-ceiling. Note the window opening. This window will provide line of site through all three iso rooms. I'm actively starting to book for April 1st, 2012! If you're interested in a tour, more information regarding the studio, or straight up want to book some time, please reach out. Here's a look at 2012 thus far..
2012 started out with a bang. The first session I did was with Elder. We tracked in mixed 2 songs in 2 days over at Black Coffee Sound. The recording is to be released on an 12" for Armageddon Records in Providence, RI for a Record Store Day release! Holy heavy! This might be one of the heaviest recordings I've ever been a part of. Big drums and big amps were the theme of the session! Amherst's Californiax came into Black Coffee Sound to track 2 songs for their new single on The Sounds of Sweet Nothing, a UK based label. These dudes are somewhat new, as this was their first studio effort. We not only had a great time, but made some damn-fine recordings in a day's worth of time! We're hoping to hit the studio again in the not-too-distant future to work through a full length! Boston's Banditas and I continued work on their forthcoming full length. We took a field trip out to 1867 Recording Studio in Chelsea, MA to cut vocals. The record really took shape with finished vocals! The band is now scheduled to mix this record next week. J Mascis just completed mixing and approved mastering on his forthcoming solo effort. It's under the name Heavy Blanket and will no doubt, turn heads. I'm not going to say anything else about it. Get psyched for a May release! Back in January, I teamed up with Rusty Belle to make a live recording. We set up a stage area, brought in many microphones, preamps, and my Pro Tools rig. The goal was to capture Rusty Belle's live set in front of an audience and we most certainly met that goal. The shows spanned 2 nights and were fully-documented. The recordings came out crisp and clean with a healthy dose of bleed from all of the instruments and lack of isolation. What made it work so perfectly is Rusty Belle's ability to play to any room that they're in. They did so, perfectly! We're set to mix this soon! Speaking of mobile sessions, I brought the rig into Kim Gordon's basement for a short n sweet Body/Head session! They're in EU right now to play a few shows. Very excited about this band and project. There's been much more exciting things happening.. but this is already a post of epic proportions! Yesterday's issue of the Hampshire Gazette had a nice feature in the Arts and Entertainment section about the new studio. It's partially about the studio and partially about the event we're going to be hosting there next weekend! Amherst's Rusty Belle is performing live on Friday January 13th and Saturday January 14th. They're be performing before a live audience in our studio and recording the sets for a live album release! We're really excited to be hosting the even and would be excited to see your face at the gig. If you'd like to get a pass for one of the nights, go here. As for the article.. Take a peek this way..